More often than not, at least for the past 15 years, I’ve won my fights with Joan Rivers. 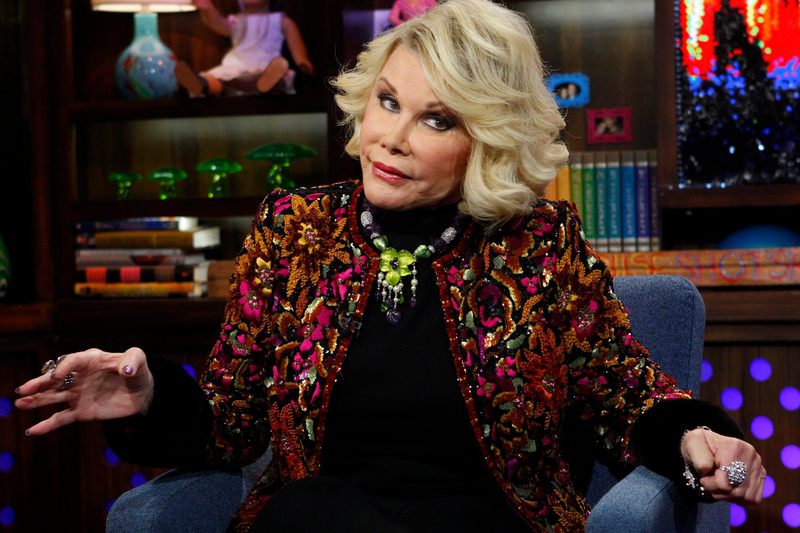 Not the flesh and blood Joan Rivers who passed away yesterday at a Manhattan hospital. She and I never actually fought. Or met. I’m thinking about the other Joan Rivers; the Joan Rivers that lives inside me. I don’t think I’m alone knowing there’s a part of me that sometimes begs, bargains, and pleads for a chance to speak with brutal honesty to those whose paths cross our own for a moment or more. Hal Braff, a New Jersey lawyer and, coincidentally, father of movie star Zach Braff, helped me recognize my own Joan Rivers part 15 years ago with words I remember more often than not. I had spoken to my stepfather in a way that was clear, direct, specific and honest — four out of five qualities of good talking. What I’d completely missed – what made it clear that was my Joan Rivers’ part talking – was tact. Since that conversation, I’ve done my best to remember Hal’s words in conversations that matter with people who catch me at moments of stress, fatigue, anger, fear, sadness or other emotions that can block both feelings and expressions of empathy and compassion. As I learned more about the life of Joan Rivers this past week, a star who was a ubiquitous television presence throughout my life, I better understood the persona of the groundbreaking entertainer and fashion aficionado we could always count on to be clear, specific and direct, often honest, but never tactful. I hadn’t known Joan Rivers was born Joan Molinsky, the youngest of two American girls born to Russian Jewish immigrants who had crossed the ocean as children with little more than their faith, prayers and dreams. I hadn’t known her husband, Edgar Rosenberg, had taken his own life 27 years ago, reportedly blaming his despair on a setback in his wife’s relationship with Fox Television that he feared would derail the promising, unusual career he long helped guide. I hadn’t known that her quick wit and humor had likely saved, and certainly guided, her life from her earliest years. In the beginning, that’s how she survived. Professionally, it became her most bankable winning formula. I’ll miss the happiness Joan Rivers brought to millions. I’ll miss her frequent reminder that conversations with people we care about have to always be grounded in empathy and compassion. And I’ll remember Joan Rivers with love, respect and appreciation each time I recall Hal’s wise advice. May you rest in peace and those who mourn your passing be comforted and embraced in laughter and joy. Seth D. Eisenberg is President/CEO of the nonprofit PAIRS Foundation in Hollywood, Florida, an industry leader in marriage and relationship education. He is the author of PAIRS Essentials and Loops: The Secret Saboteurs of Intimacy and How to Get Rid of Them Forever.